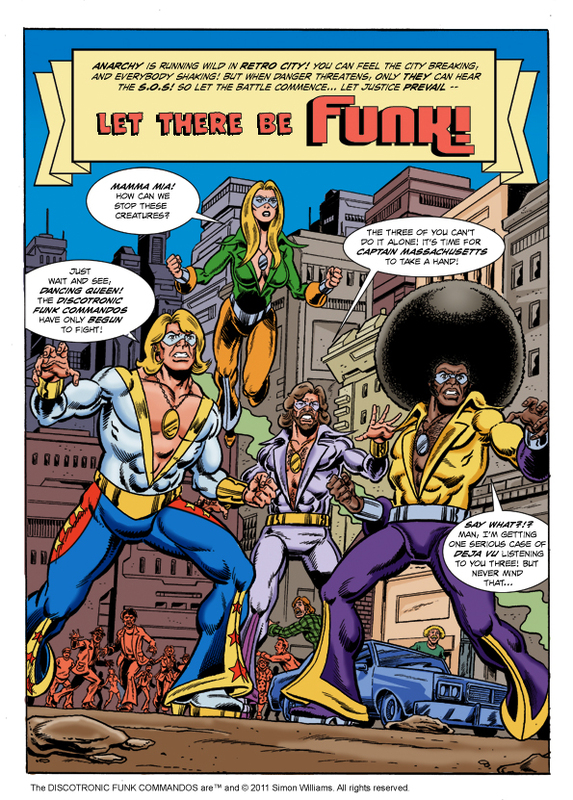 Simon Williams Comic Artist: Let there be FUNK! I thought you'd all like to see what's on my drawing board at the moment... so here's the first page from my upcoming DISCOTRONIC FUNK COMMANDOS! I'm really enjoying working on these characters again after so long, and also working under my own autonomy. I'm hoping that this will see print towards the end of the year. So until then, enjoy the preview.... and let there be FUNK! Simon Williams. All rights reserved.